Jennian Homes has been building top quality homes in the larger Canterbury region for more than 20 years. Part of a nationwide franchise company, Jennian Homes, is a Registered Master Builder and provides a 10-year Master Build Guarantee and a 36-month maintenance warranty. The company has a solid reputation of design quality and customer satisfaction. Canterbury North General Manager, Dwayne Prendergast and Operations Manager Paul Jenkins uphold that reputation by overseeing all projects from sale to completion of the build, through to handover. Jennian Homes Canterbury North offers several build choices, including house and land packages, and design and build options, all over Canterbury. “We want to make the building process as easy as possible for our clients,” says Client Liaison Sue Prendergast. The company has a presence in several well-established subdivisions such as Faringdon in Rolleston, where there is a display home at 7 Lemonwood Drive. There is also a display home at 9 Westpark Drive Rangiora. Both are open Wednesday-Sunday 12-4pm and are great examples of the stunning homes that can be produced. 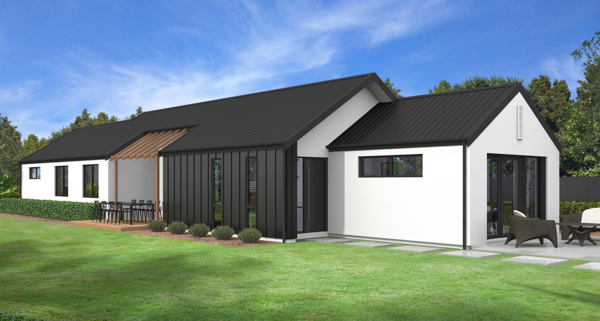 It is proud to be one of the preferred building companies in two of Canterbury’s newest subdivisions, Ravenswood in North Canterbury, and Halswell Commons, in Christchurch. There are also many house and land options available in the greater Canterbury area as well.